Jimmy Page and Les Paul “Black Beauty” Reunited?. 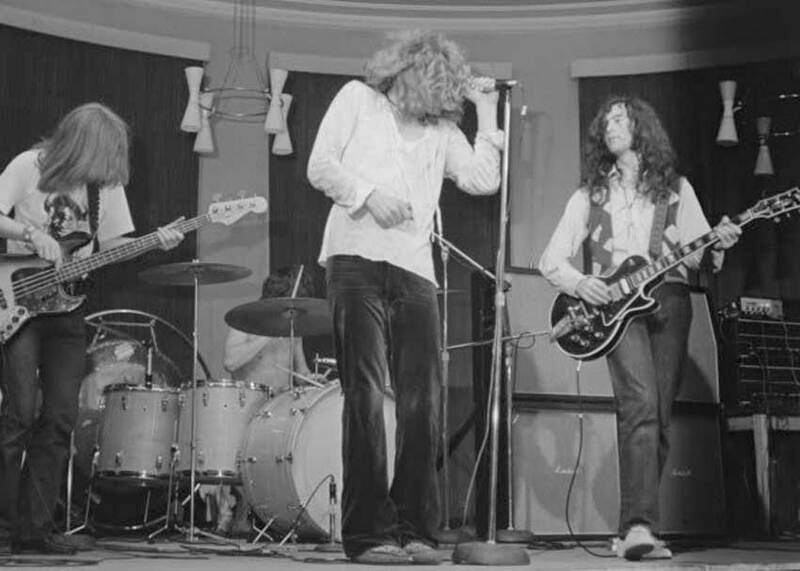 The Zep guitarist may have recovered his long-lost Gibson after 45 years. It looks as though Jimmy Page will get to join Peter Frampton, B.B. King, George Harrison, Bob Seger, Zakk Wylde and other guitarists who have lost and later recovered iconic axes. 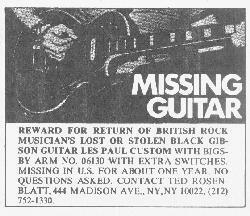 Rolling Stone ad seeking the lost Les Paul. 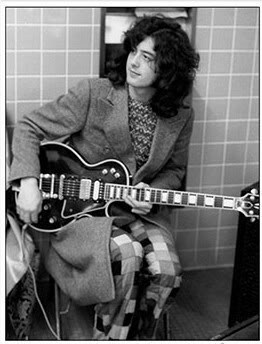 Page’s guitar, a 1960 Les Paul Custom “Black Beauty”, was stolen in 1970 while Led Zeppelin were on tour in the months leading up to Led Zeppelin III‘s release. Despite the fact that it had been heavily modified to the point of being easy to recognize — it already had three humbuckers with a six-way pickup selector and Page had added a Bigsby Tremolo — he never got it back. Page even placed an ad in a 1973 issue of Rolling Stone, offering a reward in hopes of getting it back, but to no avail, and the black and gold LP faded into rock ‘n’ roll legend… until recently. 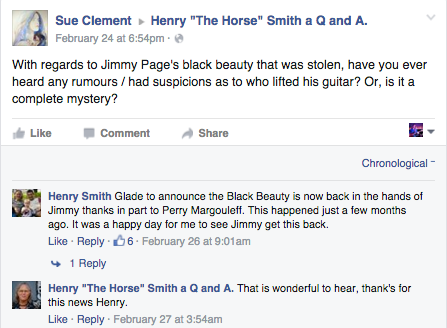 According to Guitar World, former Led Zeppelin roadie, Henry “The Horse” Smith, recently solicited questions from Facebook followers for a Q&A session, which led to someone asking about Page’s Black Beauty and someone else (also named Henry Smith) claiming that the guitar and its master were recently reunited. So while that’s not exactly 100% certain (You really think someone would do that? Just go on the Internet and tell lies? ), it seems promising, and the optimists in us are hoping that Mr. Page has, indeed, gotten his guitar back. We’ll be sure to keep you updated as more details follow. Want Jimmy Page’s tone for yourself? We’ll show you how to get it without spending a fortune!